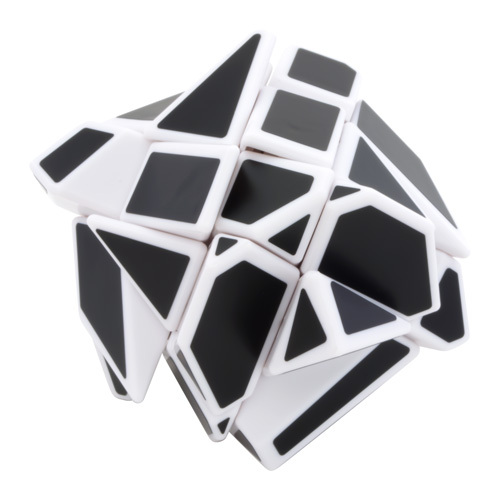 After months of work, we are proud to bring you a remarkable puzzle, the Ghost Cube from puzzle designer Adam G Cowan! 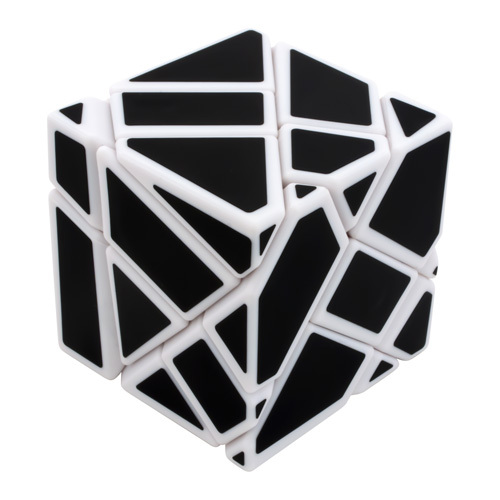 The ghost cube is an exercise in making a 3x3x3 shape modification that is as challenging as possible while only allowing one solution. 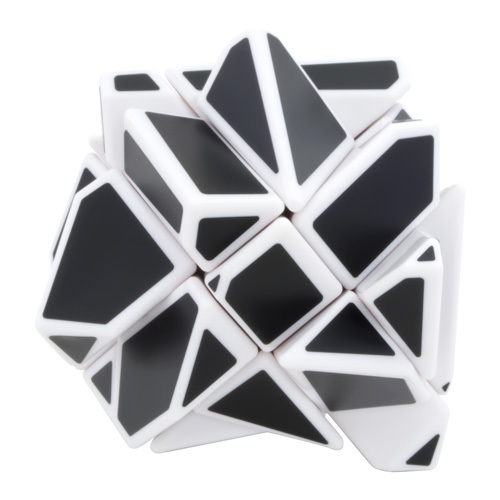 Misaligned layers, odd shaped pieces, and only one color all add to the challenge. 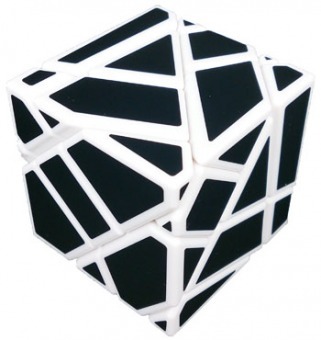 "When I designed this puzzle back in 2008, I was inspired by Tony Fisher’s Golden Cube, itself an iconic puzzle. The Ghost Cube design gradually formed over several days of ’tweaking’ a basic concept until I had something really interesting. The very first prototype was printed by Geert Hellings and shown at DCD 2008 with good reviews, and early in 2009, several were made for sale by Jason Smith. After the initial sales, the Ghost Cube concept sat on the back shelf for a while, and to my surprise, several puzzle builders created their own hand made versions (including a 7x7x7 version!). 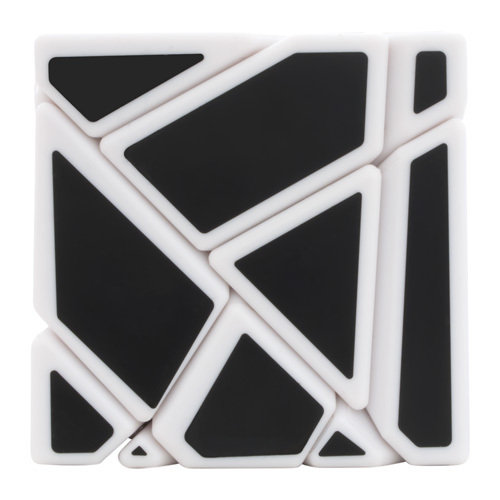 Suddenly there was a strong desire to produce this puzzle, and I set to work on an injection molded production design." "I am very happy with the results, and glad that I will be able to share this puzzle with the entire puzzle community!"